OneAdaptr EVRI... This is Socket Science! Home News OneAdaptr EVRI... This is Socket Science! The World In 18mm! FLIP WORLD Is In! 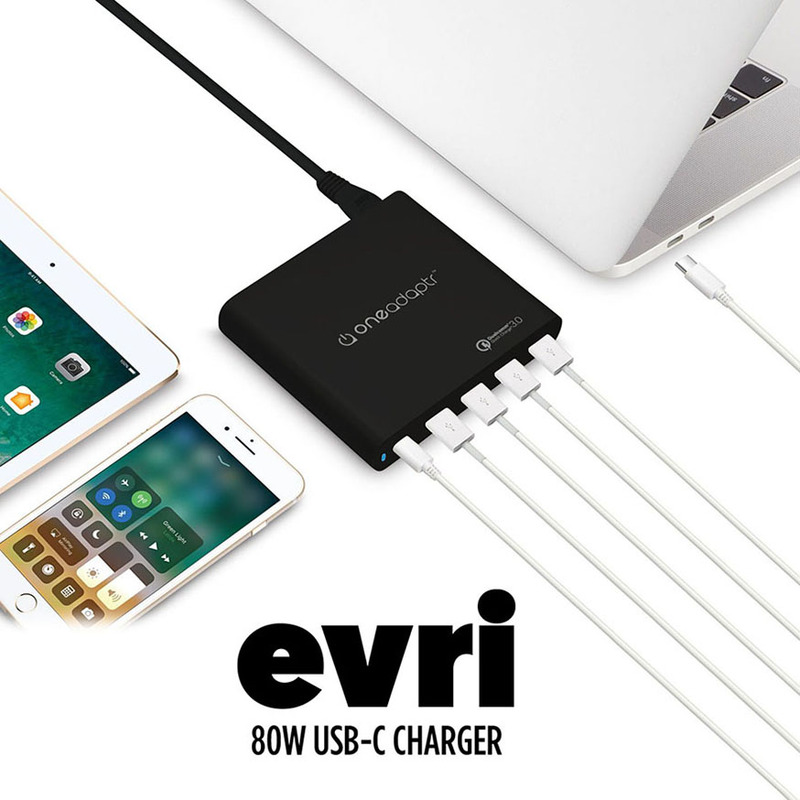 Check out Anil's review on EVRI 80W USB C Charging Station at T3. Charge any USB C MacBook / PC / Devices in full speed with USB-C PD technology. Support Fast Charging the latest iPhone X, 8, 8+ (from USB C port) and Nintendo Switch Charging! EVRI 80W USB-C PD Charging Station comes with 4 additional QC 3.0 ports for all other devices you might have. Get Evri 80W USB PD Charger Now! Feel free to drop us an email if you have any questions at info@OneAdaptr.com.